Open for Breakfast Saturday and Sunday 9am - 1pm. Open daily at 11am for lunch, dinner, late night. 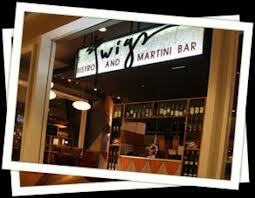 Twigs Bistro, located on the South Hill, opened in the spring of 2006. It quickly became a South Hill destination and a friendly neighborhood dining spot. The vestibule houses our stellar wine selection and opens up to the restaurant. An inviting bar features comfortable seating, fiber optic bar top and a double sided fireplace. An exhibition kitchen boasts a Gas Fired Brick Pizza Oven. The second floor consists of two banquet rooms connected by a catwalk that overlooks the restaurant and bar below.